Our food puzzle paper was one of the most widely cited and downloaded articles of 2016 earning us a "top performing article" certificate. 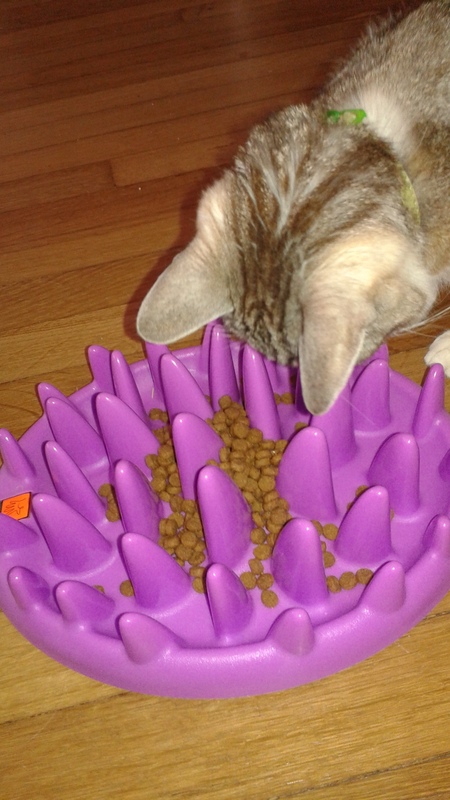 Welcome to Food Puzzles for Cats, a one stop resource for information about feeding your cat using foraging toys! 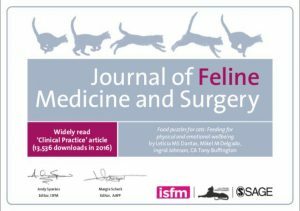 We were inspired to create this website after we published our paper about food puzzles in the Journal of Feline Medicine and Surgery with Drs. Tony Buffington and Leticia Dantas! We felt this website would be a helpful supplement to the manuscript. Boredom, frustration, and environmental stress are some of the most common reasons that cats exhibit behavior problems. 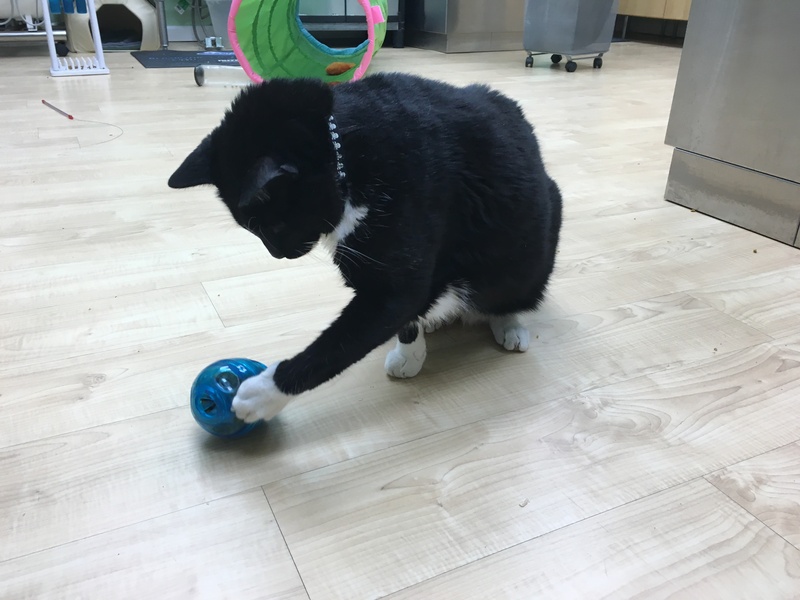 We strongly believe that encouraging foraging behavior is one of the best things you can do for your cat and we are here to show you how to do it! Please check back regularly as we will be adding new content frequently! You can also follow us on Facebook and Twitter! We do not endorse or recommend any one toy or brand over another. 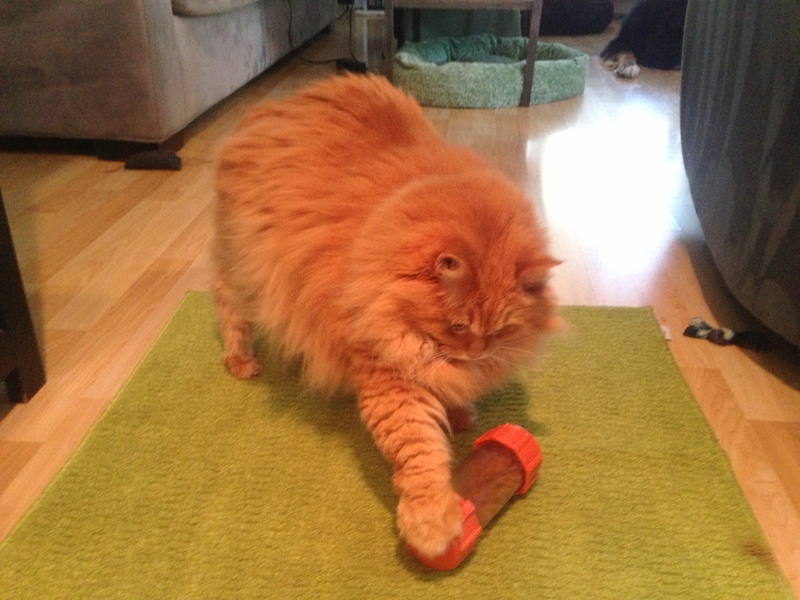 Our goal is to educate cat guardians and make implementing this type of environmental enrichment as easy as possible. Foraging limits overweight cat's access to carbohydrates. Teach you how to implement foraging as the way you feed your cat. Help you assess when to increase the difficulty level of foraging toys. Show you how to make your own toys at home. Offer resources where you can read and learn about food puzzles. 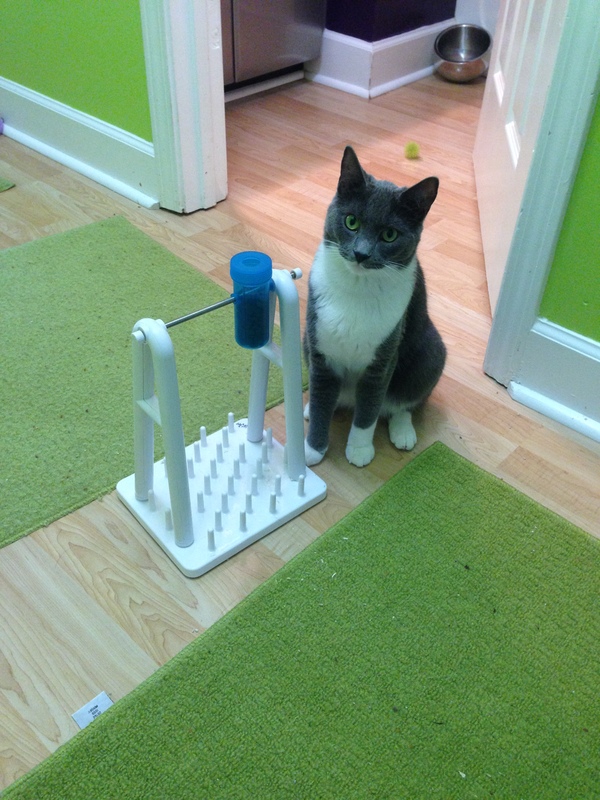 Help you troubleshoot if your cats are just not getting the hang of using food puzzles. Foraging slows down voracious over eaters.